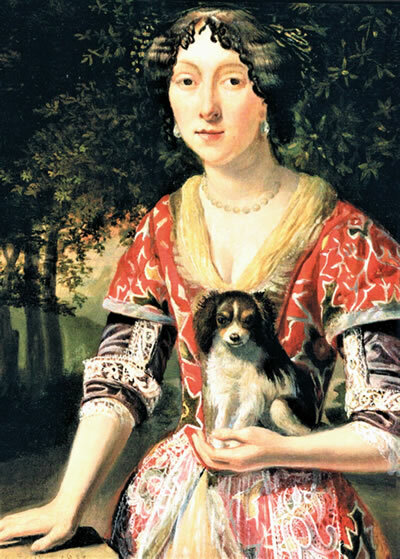 This painting of a lady holding a tricolour toy spaniel was painted by the Dutch artist Matthys Naiveau (1647-1721). All dogs loved to chew, and indeed chewing the right things can help to keep their teeth strong and help to keep tartar at bay. 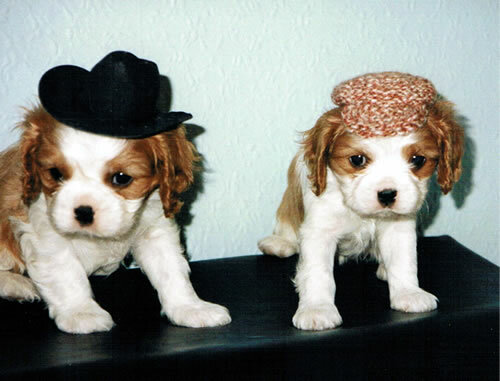 The need to chew is strongest when puppies are around three months old and they first start to lose their milk teeth and their adult teeth start to come through. As well as gnawing to relieve the discomfort of loose baby teeth and adult teeth emerging chewing starts to become an exploratory factor and that get the urge to chew all sorts of things that they come across. It is therefore important that they are given toys that they can chew and deterred from chewing things that they are not supposed to. Puppies should never be left alone in rooms with loose cables and wiring for obvious reasons. Most pet stores sell toys suitable for chewing and if your dog has a fairly wide selection of toys such as rubber bones, rings and rope tuggers they will soon find their favourites. Stag horns are particularly great for dogs and can be purchased in various sizes to suit different breeds. They are quite safe and help to maintain healthy teeth and gums. If the dog has a nail injury you should trim back the broken nail to prevent further irritation. If it is broken at the base and is bleeding it will require veterinary attention as soon as possible. Any wound or abrasion on the foot pad should be cleaned and any debris removed. Debris can sometimes be embedded inside a cut. Soaking the foot in some warm water with Epsom salts for about five minutes can help soften the skin and flush away debris. Swishing the dog�s foot back and forth through the water can help to dislodge debris painlessly. Paper towels or cotton wool can be used to pat the foot dry. You should then examine the paw pad injury for remaining debris, which can be removed with tweezers. Disinfecting the wound with Savlon or Dettol will help to kill any bacteria. The foot pads are the only area where a dog routinely sweats and therefore it is important not to leave bandages on for too long a time as it can inhibit the healing process. The problem is that many dogs will keep trying to chew at the area and make it worse. In these cases an Elizabethan collar is probably needed. For visits outdoors, plastic wrap or a sandwich bag can be placed over the foot and secured with a piece of tape around the ankle. This will prevent bandage soiling. In addition, walks should be limited for toilet trips until the pad has had a chance to heal. A WOLF IN CAVALIER’S CLOTHING! 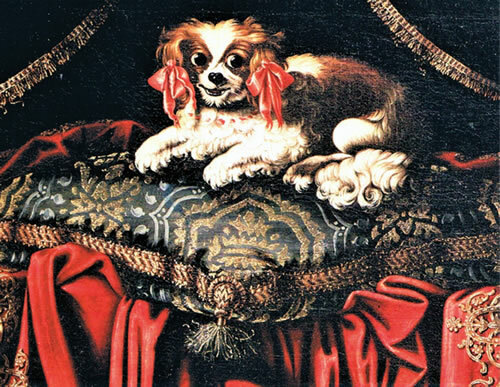 There has been much debate over the years as to the true origin of the domestic dog (Canis lupus familiaris). Some experts believe that they are descended from the Grey Wolf while others believe that the domestic dog and the grey wolf are both descended from an earlier type of wolf that is now extinct. 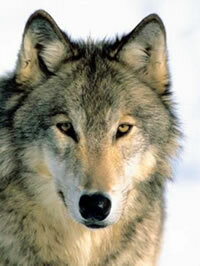 There are many types of wolf which have continued to evolve during the time that the domestic dog has been in existence, but whether or not the domestic dog evolved directly from the grey wolf or whether they both continued to evolve from an earlier species there is little doubt that genetically they are very closely related. There have been countless matings between grey wolves and domestic dogs and these hybrid wolfdogs do breed true and are not mules. Many books on the evolution of modern dogs say that domestication was a conscious effort by humans. The theory was that ancient people took wolf cubs from their dens, adopted them, fed them, trained and tamed them. Raymond Coppinger is a biologist who has spent over 45 years working with and studying dogs and claims that it is nigh on impossible to take a wolf puppy from the wild a get them completely tame. He believes that the wolf ancestors of the domestic dog domesticated themselves. The process would probably have begun at the end of the last ice-age around 15,000 years ago when people began to gather and live in one place for the first time. The growth of these early villages was fairly rapid and coincided with the fossil evidence of dogs as we now know them. As people became settled and less nomadic, they created villages where they would remain for long periods of time. When humans live in the same spot for a lengthy period they create waste, including both sewage and, more importantly for the dog, leftovers. There are things people can’t eat, seeds that fall on the ground, things that have gone bad and all this waste which may be found in dumps, or just scattered near houses, attracts scavengers such cockroaches, birds, rats and of course wolves. There is an animal behavioural characteristic known as flight distance and this was crucial to the transformation from wild wolf to the ancestors of the modern dog. It is how close an animal will allow humans (or anything else it perceives as dangerous) to get before it runs away. Animals with shorter flight distances will linger, and feed when humans are close by. This trait would have been passed on to successive generations creating animals that became increasingly more comfortable around humans. It was probably wolves that had been living on the edges of human encampments for countless generations that were first taken in and adopted rather than wolves straight from the wild. Over time it is likely that animals that chose to live with humans bred with other animals that adopted a similar lifestyle, replicating the traits that made the animal tolerant of humans. Slowly, the camp-wolves became the camp-dogs. In effect, the dog domesticated itself. It is likely that the dogs did not remain in packs for long but divided themselves between the family groups of the hunters. Evidence from modern hunter-gatherer villages where semi-tame dogs roam, shows that these animals do not necessarily form packs but tend to organise themselves into groups of no more than three, which then adopt a particular dwelling (and its occupants) as their own. In the past, perhaps this was the reason that people began to interact with dogs on an individual basis and the first relationships, with which we are now so familiar, began. We may never know for certain what made these wild animals befriend us and change to become an altogether different species, but I’m sure that whenever your own dog jumps up on your lap for a fuss you are certainly glad that they did. They not only frighten prowlers away. In the 1980s and 1990s John Fisher revolutionised dog training, first in England, then in the US. With his self-deprecating manner and ‘Oh! So British’ sense of humour, he taught us to ‘Think Dog’. 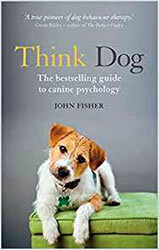 In this seminal pet psychology book, he examines the mind of the dog with examples taken from his practical experience, explaining to owners how the world appears from a dog’s point of view. The first section of the book traces the ancestry and inherent behaviour of dogs, from their origins as pack animals related to the wolf or the jackal. The second part examines what most people describe as problem behaviour, which is just normal canine behaviour exhibited in the wrong place. The book concludes with an A-Z of common problems, their causes and cures. 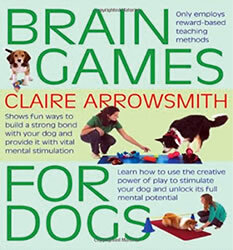 Brain Games For Dogs: Fun ways to build a strong bond with your dog and provide it with vital mental stimulation. This book provides more than just fun ways to challenge a dog’s thinking and puzzle-solving ability. 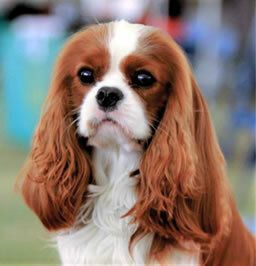 Claire Arrowsmith strongly suggests that such challenges help build a strong bond between a dog and its owner. She examines the accepted evidence of the importance of mental stimulation and why it’s important to use only reward-based teaching methods. She also explains how to use hand signals and incorporate mental challenges and learning into everyday activities. Icons for each game indicate whether it is interactive, solo or group, where it can be played, the level of difficulty and whether any props or toys are used. Some of these great games are: Puppy Play, Hide and Seek, Carry It, Egg and Spoon Race, Mini Agility Course, Nature’s Obstacle Course, Find the Treat, Roll Over, Play Dead and other performance tricks. With straightforward text and full-colour photographs this book is a valuable guide to important elements for successful and fun dog training. Getting ready for Ascot or the Mad Hatter’s tea party! "Dogs have a very high developed sense of smell. You wouldn’t think so by some of the things they sniff, but they do."